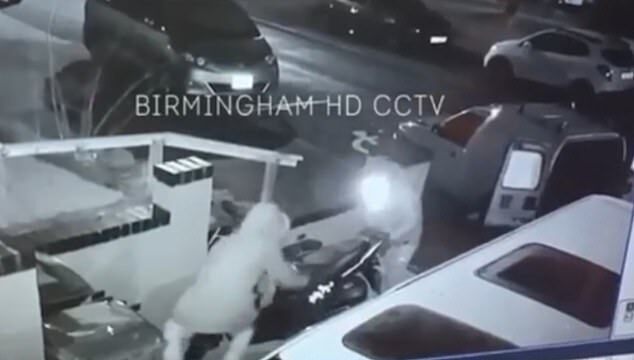 A pair of brazen thieves have been caught on camera picking up a moped and carrying it to their van in an early morning raid that only takes seconds. CCTV outside the home in Oldbury, Birmingham, shows the pair casually walking to the bike, which is parked next to another vehicle, and lifting it. They each take an end of the bike and sway slightly as they edge it towards their van, which already has the rear doors open. It only takes seconds for the thieves to walk onto the driveway, pick up the bike and place it in their vehicle. The black and white CCTV footage was captured at around 6am on January 29. Both of the thieves appear to be wearing large winter coats with the hoods up and light coloured trousers. 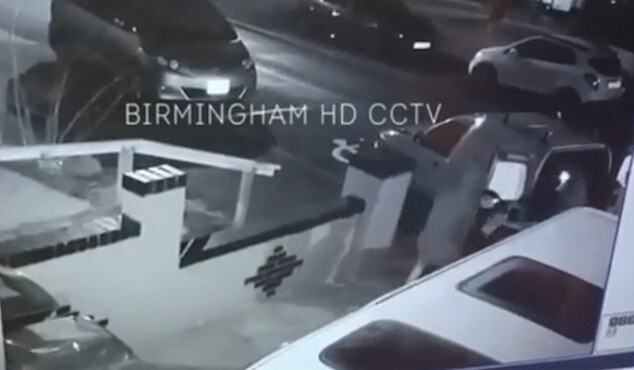 Penny Goodman, who released the clip, said she has contacted West Midlands Police and hopes that someone may be able to recognise those in the film. 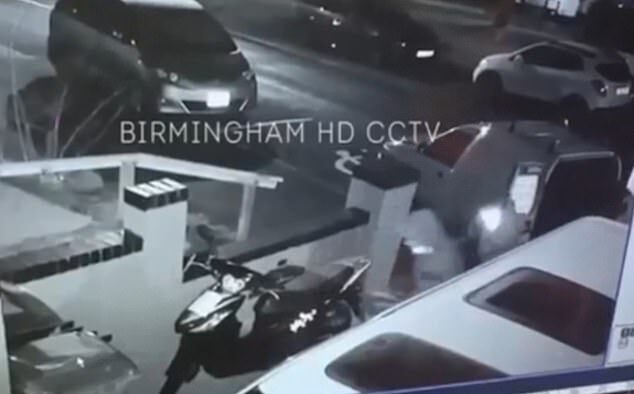 Viewers online reacted with shock to the footage and one security firm, Birmingham HD CCTV, has since warned moped owners to lock down their vehicle. West Midlands Police has been approached for a comment.